Yes I know it has been far far too long to post something here. Where I have I been you ask? Mostly reediting my older books and working on new ones. While I didn't find any major problems with my previous books, I did spot a few grammatical errors that somehow missed the several rounds of original editing. Nothing is being changed in regard to plot, characters, or otherwise. They are the same stories you know and love, just more grammatically polished. I have been working on these for the past few months and I expected to have them done LONG before now. Hence the reason I haven't posted here. I thought "Oh I will have this done next week, I will wait till then until I post." And that kept happening one week after another. It is nothing new for authors, but it is new to me. My normal day-to-day life has been hectic the past few months as well stealing time I would otherwise use on my writing. But I am pleased to finally announce my progress. 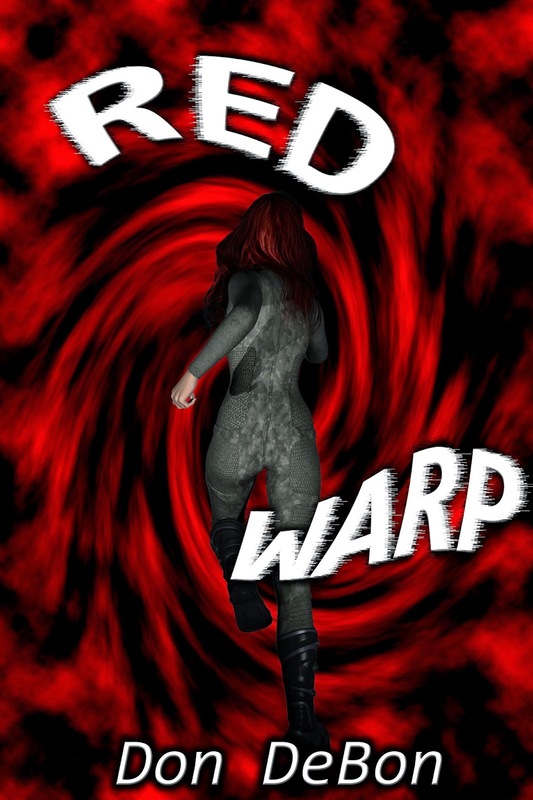 The first of the reddited books is Red Warp, and Italian Fever should be out soon. Red warp also has a new cover. It is very close to the original but I think it gives more of a feeling of what the warp really is. The rerelease is now available on Kindle, Nook, Kobo, Scribbed, Oyster, and Smashwords. On top of all of this, I am working on updates for this site, and doing NANOWRIMO. So yes I have been a bit busy, but still that is no excuse for leaving everyone in the void as to what has been going on. Rest assured, I have not abandoned you. I am still writing and will continue. And I will post more so you know a bit of what is going on. Right now I should have a new book out 2nd quarter 2015 and will be posting more about that in the future so stay tuned. And finally Soulmates should be out in print soon as well. I started using Createspace, but I ran into quality control issues with regard to my cover. Now I am not saying that Createspace is not a good printer, because they are. It is just that their system is lacking in a couple of areas with regard to the virtual store image can give a wrong impression of some book's actual cover. In a future post I will go into detail on my experiences. Right now I am working with Lightning Source and so far I am not having the previous issue. I will let everyone know when it is available. Whew as you can see, I may have been silent here, but still very busy. Again I apologize for the lack of communication, and I will do better from this point on.